We announced “TSUBO CAR: Autonomous car of 3.3 square meter in level 5.” at Tokyo Motor Show on 4 November 2017. In 2017, Tokyo Mortor show has a theme,”Beyond the motor”. News Picks holds a pitch contest for 5 i innovative companies, and ATELIER OPA was selected as a finalist. 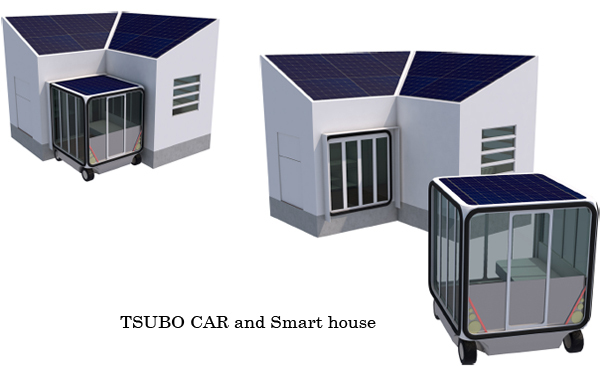 We have been thinking TSUBO CAR since 2014 (Link: “TSUBO CAR” won the Smart Design award 2013). A room of 3.3 square meter, that is 1 Tsubo-space counted in Japan, is attached to the house. This room runs to hospitals and schools by automatic driving. Current technology is in the transition from level 2, partial automatic operation to level 4, automatic operation. Considering the realization of level 5, fully automatic operation in 2025, Toshihiko Suzuki designed TSUBO CAR as a car without a driver. A resident can move to his or her destination in a wheelchair or a bed. This research has been based on Suzuki’s view, such as 1 Tsubo-scale tea room (Link:So-an Mobile cha-no-yu Room) and Kenchikukagu (Link: Architectural furniture). The Architect pursues comfortable human-scale in city landscape and car society as well. 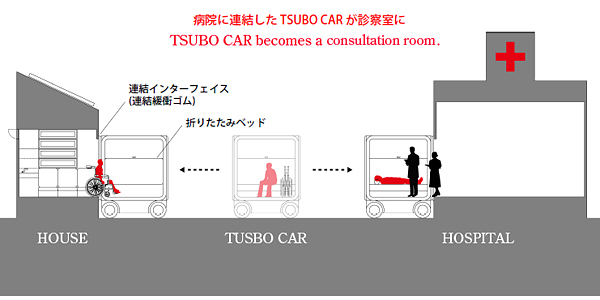 TSUBO CAR will be a comfortable space not only for vulnerable people such as the elderly and disabled, but also everyone.